ITEMS BELOW ARE NOT FOR SALE!!!!! that' have been eaten already! LOL! 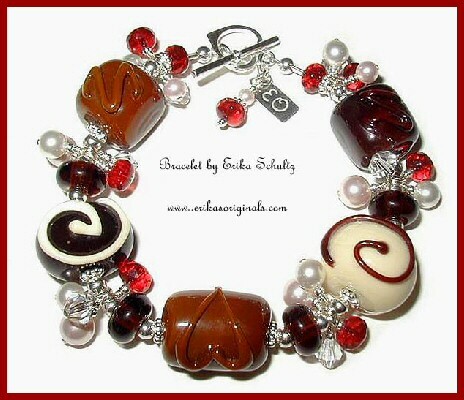 Sterling and Chocolate Beads Bracelet! 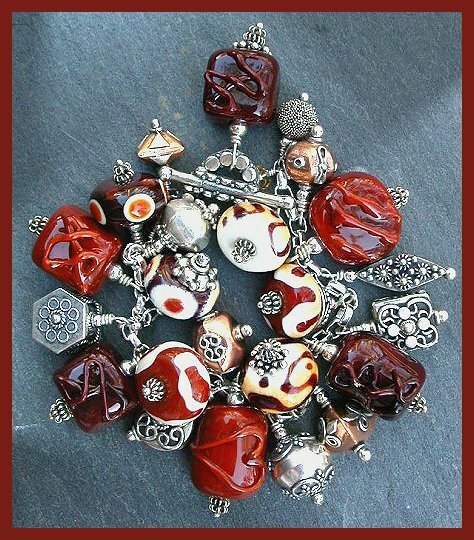 highlights this fantastic bracelet designed with Bali silver and copper elements. Tina's designs found on ebay - under seller ID boogs11. 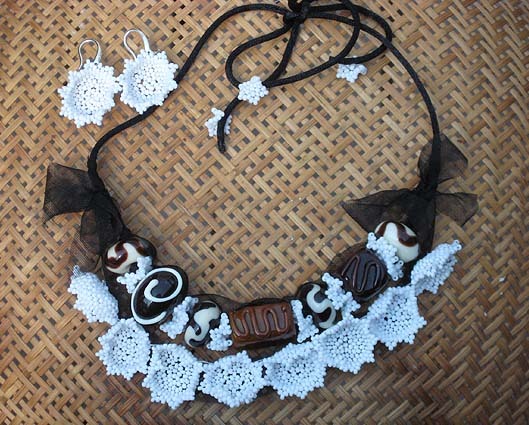 PEARLS and CHOCOLATE - what more could a woman want? 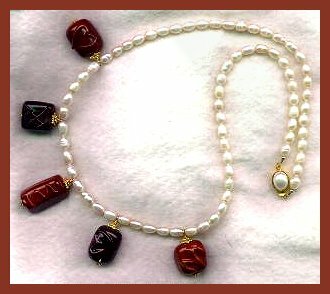 Erika Schultz created this lovely bracelet!